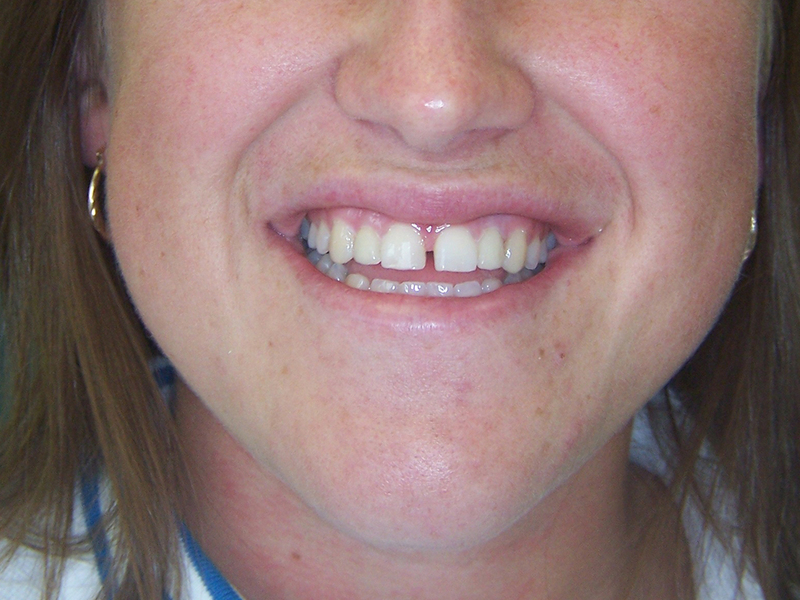 This patient is unhappy about the peg shaped lateral incisors that have been built up with composite several times but now started to have discolored margins. 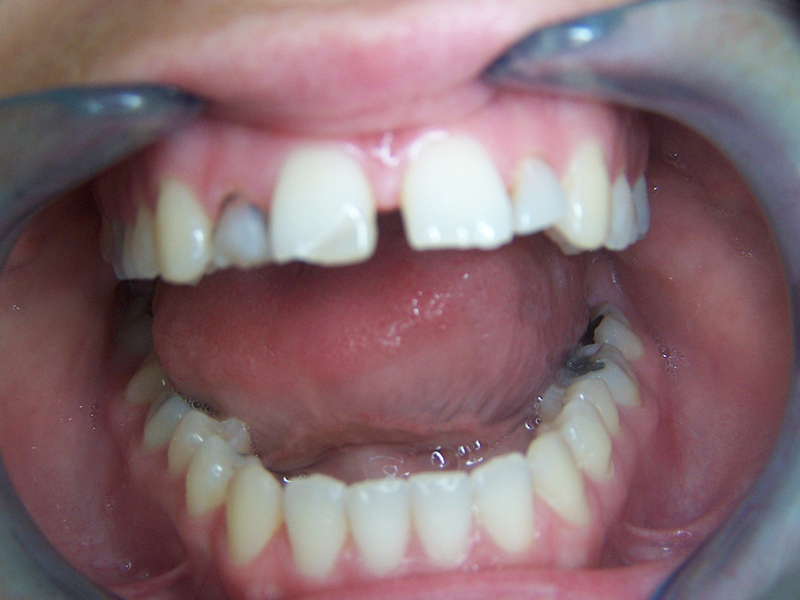 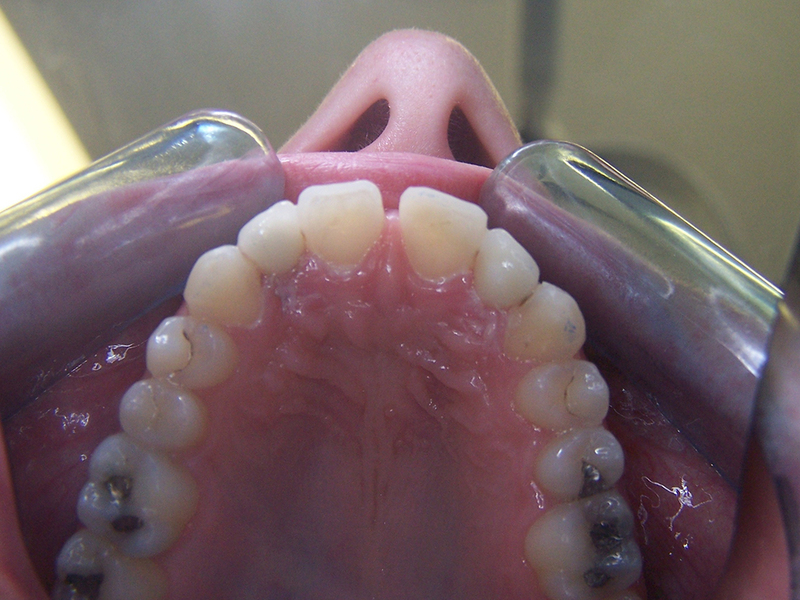 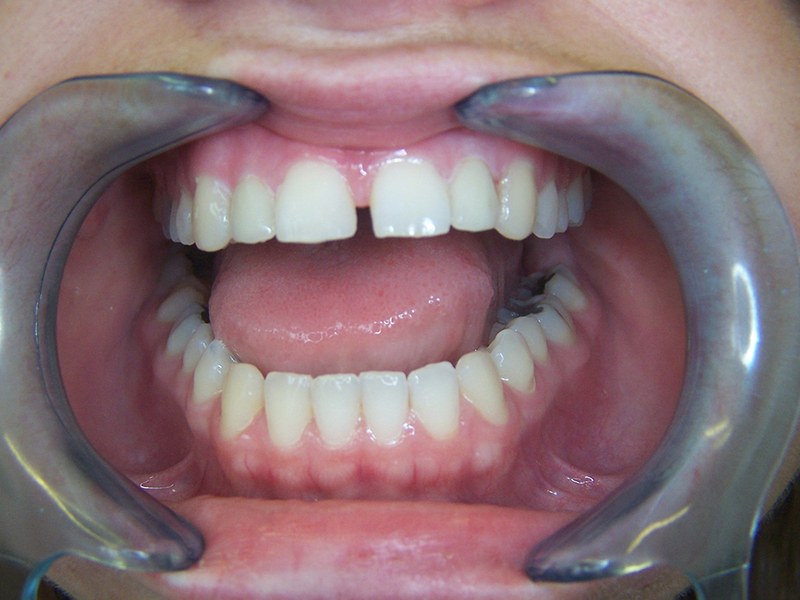 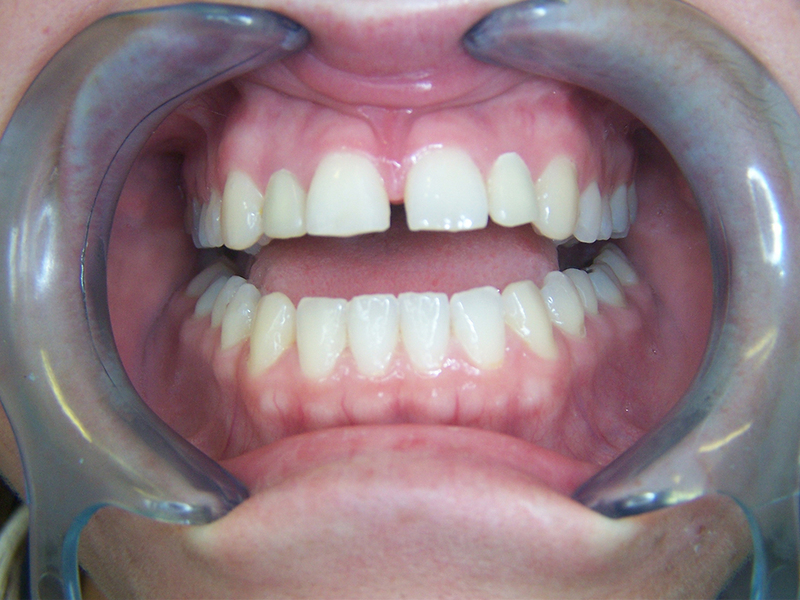 Pt would like to keep her diastema between the front central incisors. 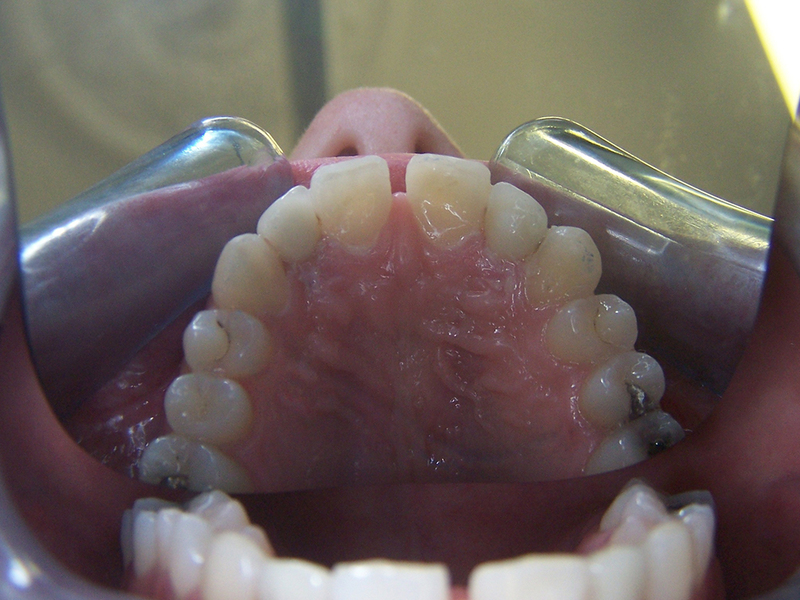 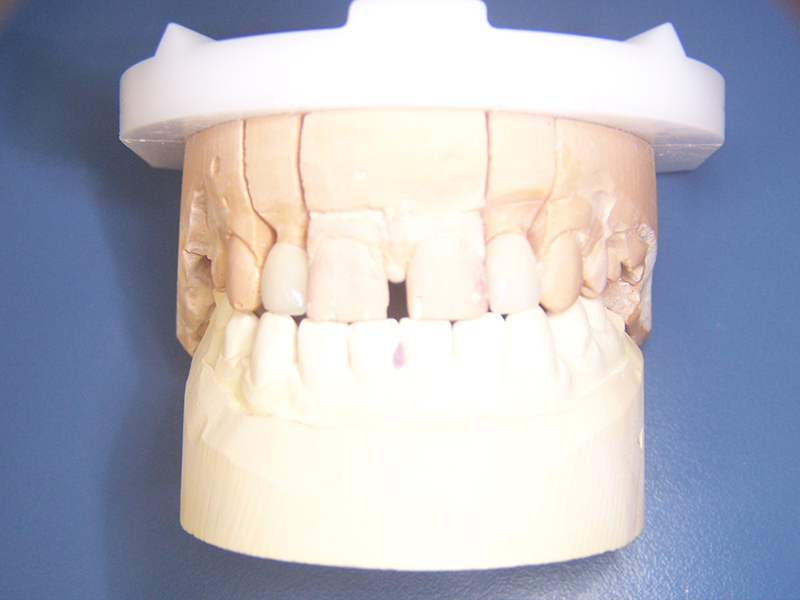 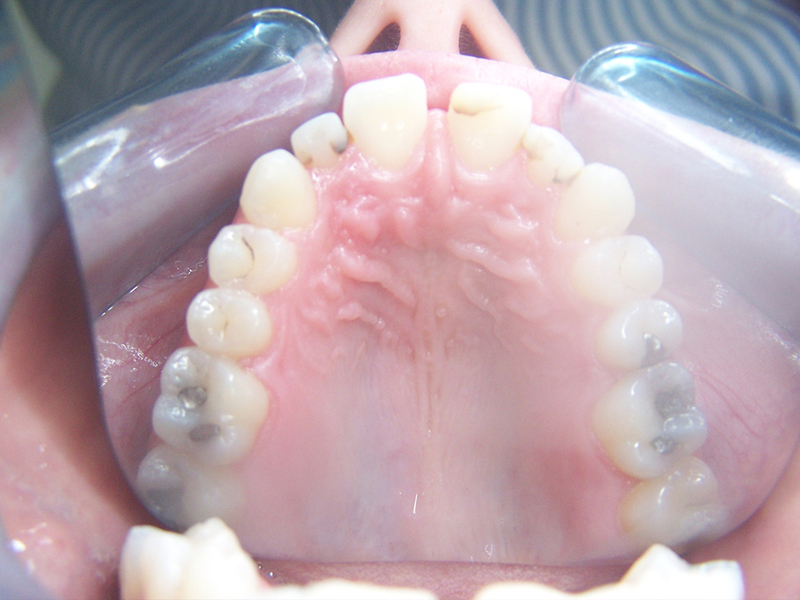 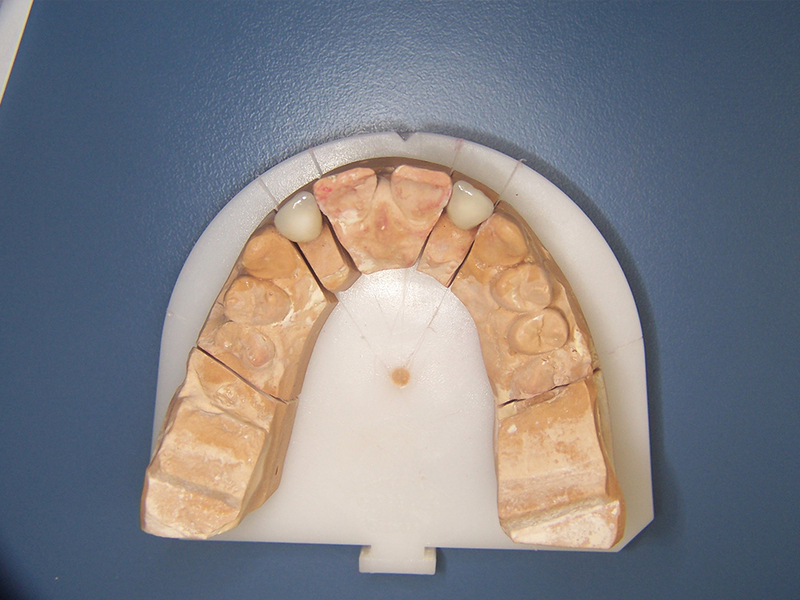 We made a decision to replace the fillings with metalfree crowns.